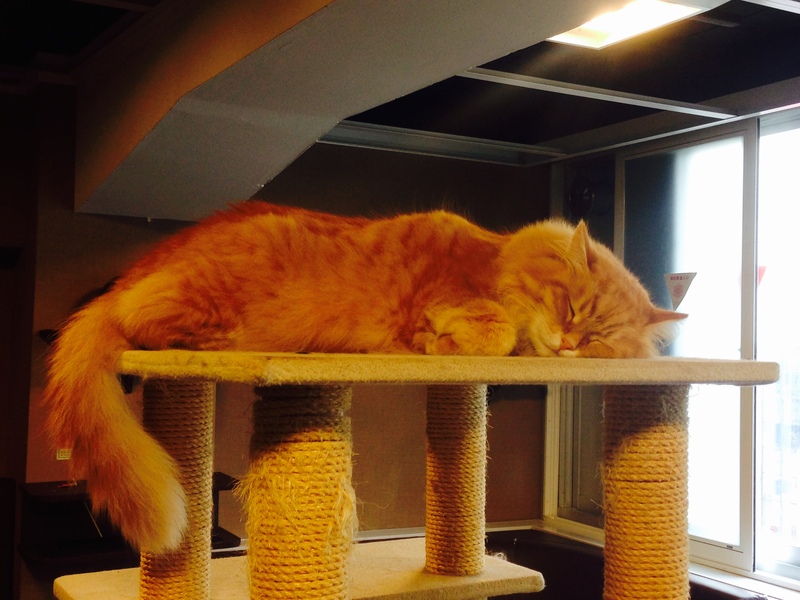 There may be many tourists who want to go to a cat café when they come to Japan. 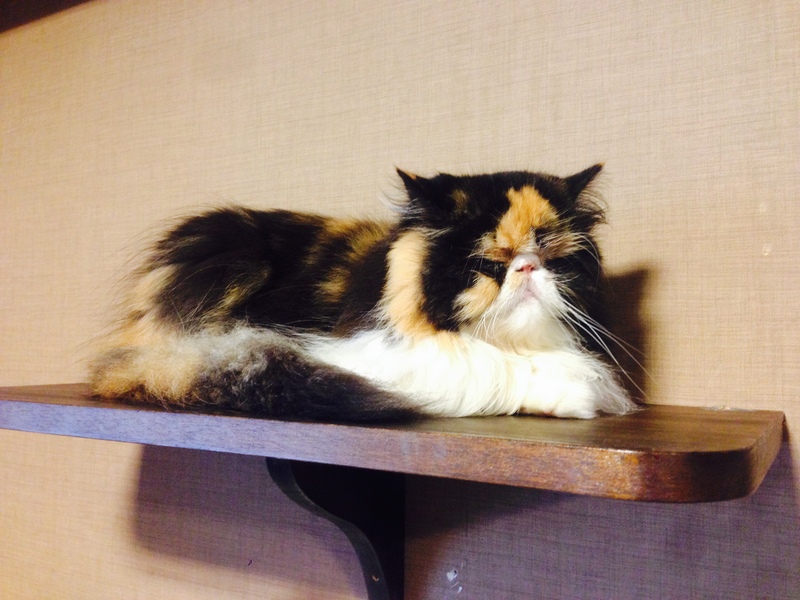 A cat café “CALICO”where we will today introduce you has the branch café in Kichijoji, Musahino-shi, but we visited Shinjuku this time. 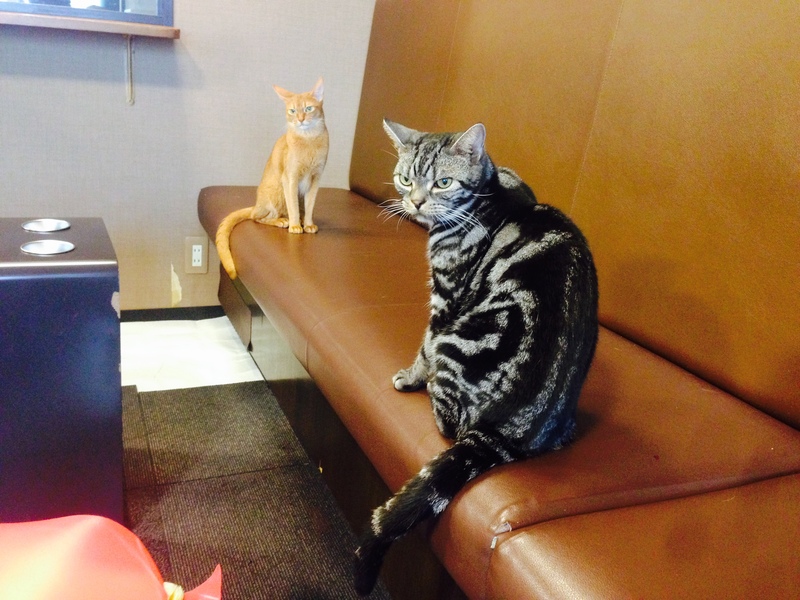 This café is the most popular and biggest in Tokyo that has 20 kinds and more than 50 cats. 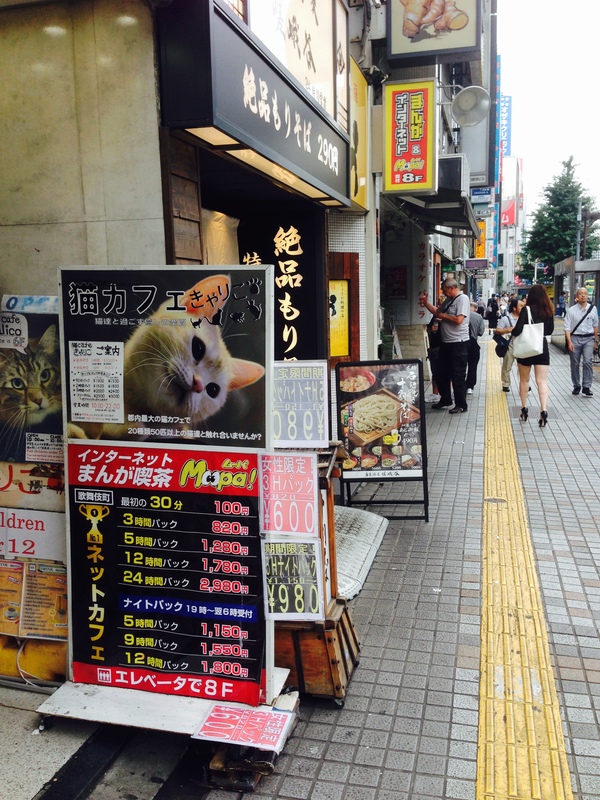 You can arrive here when you go out from the east exit at Shinjuku station and walk for arund 3 minutes. It is just close to the total shop ‘Don Quijote’ along Yasukuni Street and this billboard in the picture above is its sign. Let’s go up the 6th floor to be an information counter on the elevator. The café includes the 6th and the 7th and you can go up and down the stair of the café. You pay the charge when you are out. 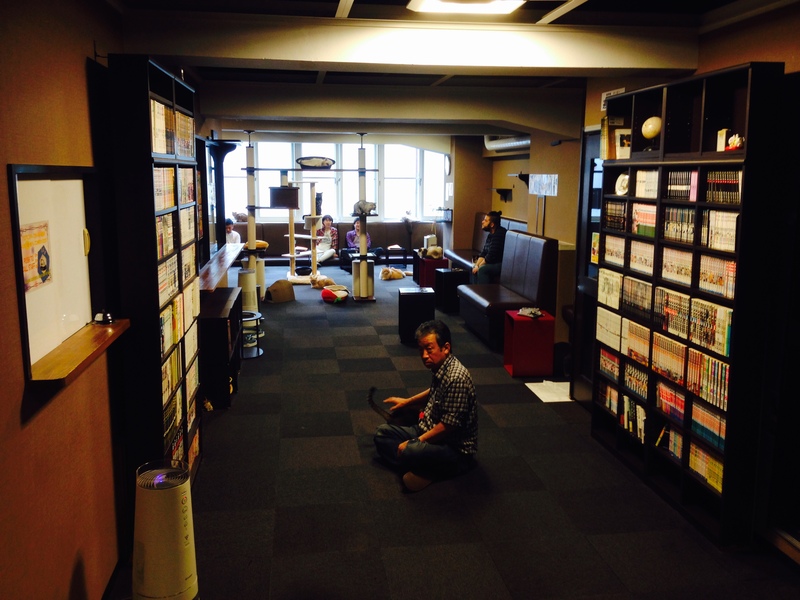 In here, there are not only cats but a lot of Manga(comic books), so its atmosphere seems a Manga café. This time, we visited on the weekday, and about 1/3 of the customer were foregners. They were in ease, holding their favorite cat on their laps and doing freely. 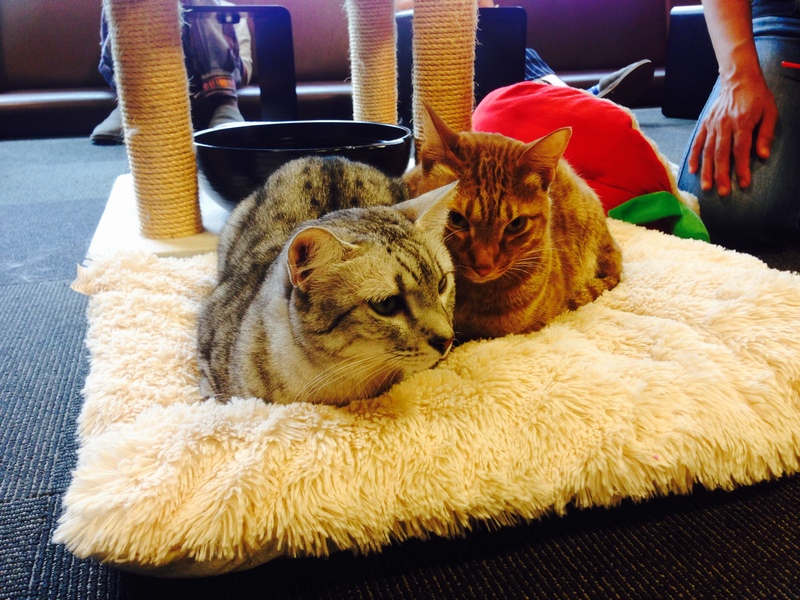 Of course the cats are spending their own time, so that they do not care about others(the picture above). Even if the cats are sleeing, you must not wake them up here. Let’s leave them and don’t touch. This cat seems to be interested in my iPhone so much. This cat here is quite graceful, isn’t it? It looks kind of smart. These two seems to be care about somethng. There are so many unique cats which I could not introduce you. 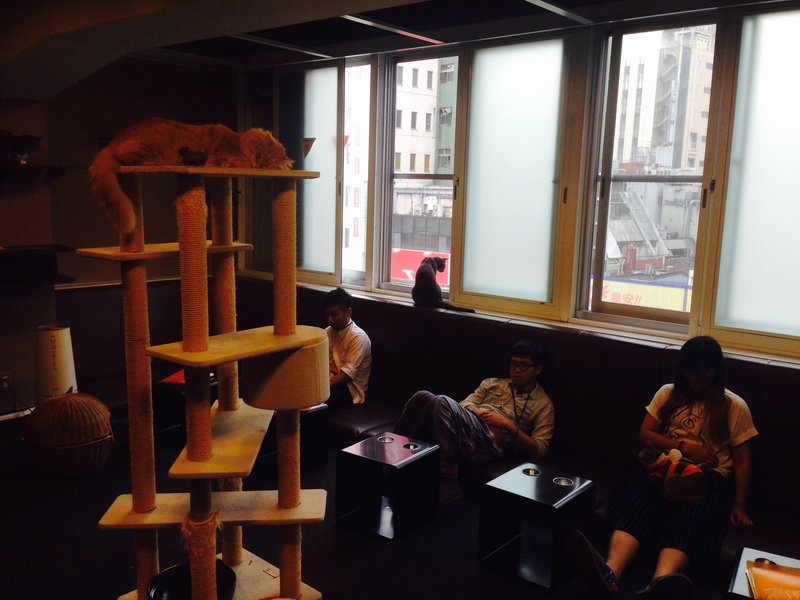 Incidentally, the cradle land of cat café is not Japan but Taiwan. 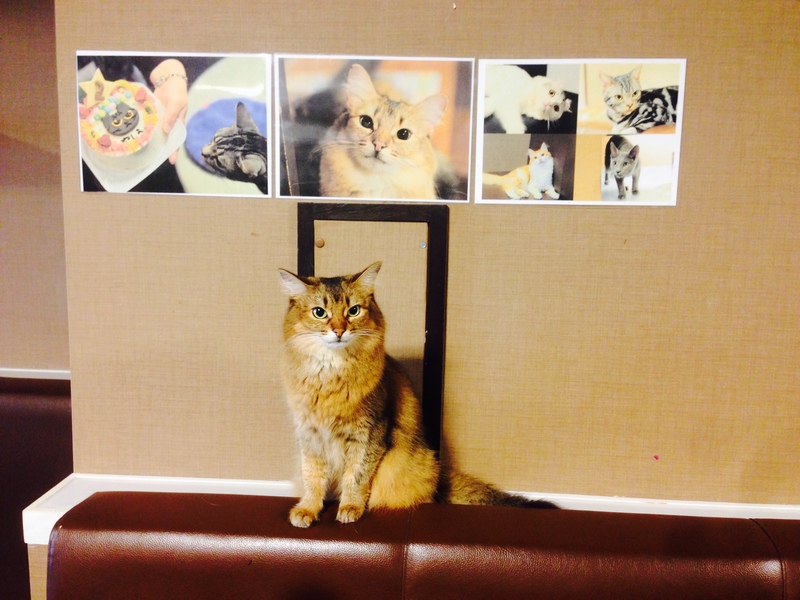 The cat café“猫花園 (means‘Cat’s flower garden’)” opened there in 1998. 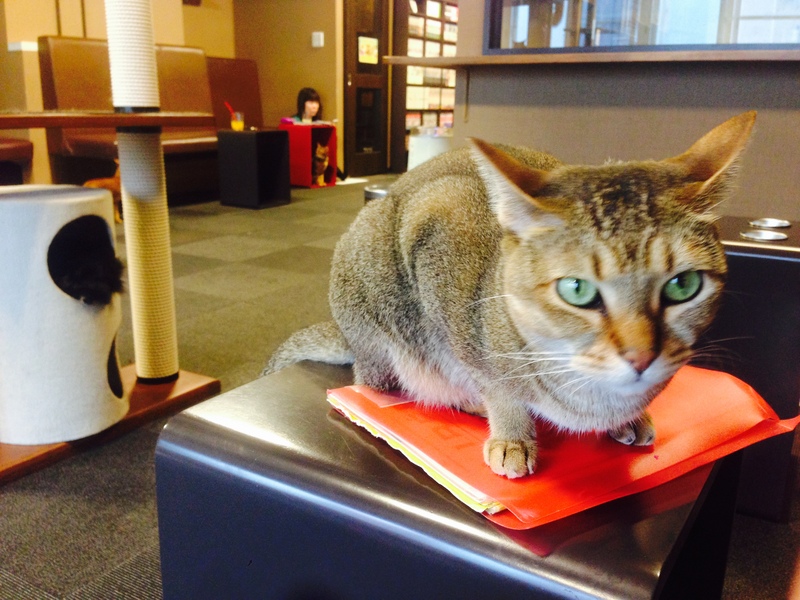 While in Japan, the first cat café opened in Osaka in March, 2004, and I hear there are about 200 cat cafés now. I really hope you can find your favorite cat ! ※We are sorry but less than high school students cannot enter. Access：3 mins. walk from the east exit of JR‘Shinjuku’sta. / 2 mins. walk from Seibu Shinjuku Line‘Seibu Shinjuku’sta.